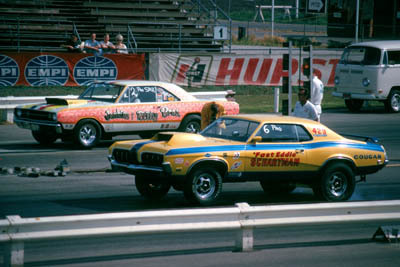 Cougars and other Mercurys have been highly successful on the race track. 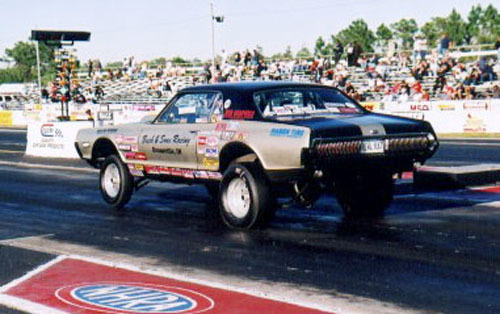 On this page we'll cover drag racing. 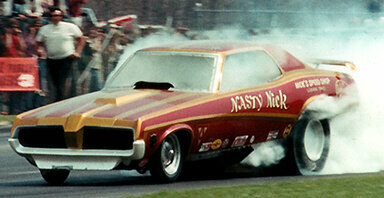 Nasty Nick Varough in his Cougar funny car. 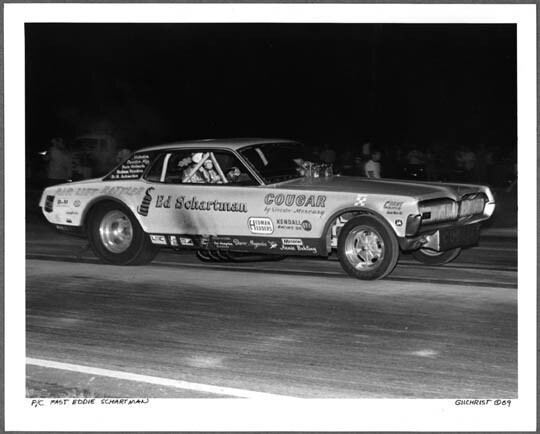 Fast Eddie Schartman in a way cool 70 Eliminator. 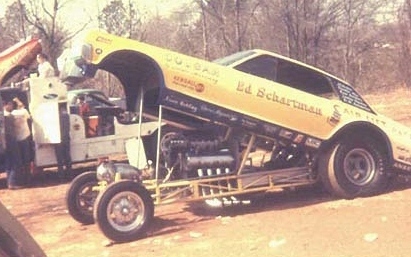 Another shot of Fast Eddie. 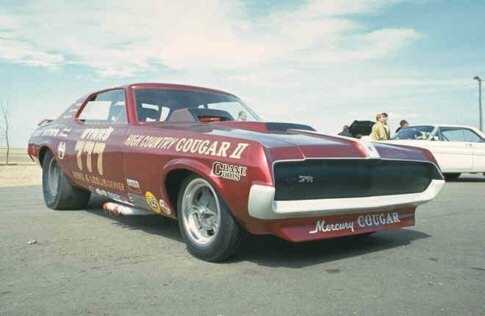 The 'High Country Cougar' funny car. 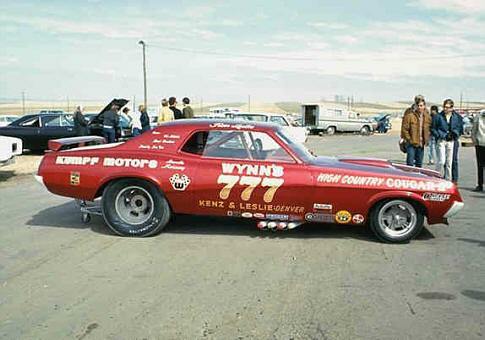 Another shot of the 'High Country' car. Nice paint. 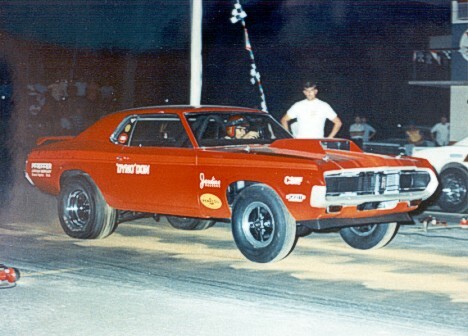 Dyno Don Nicholson in his 69 Eliminator. 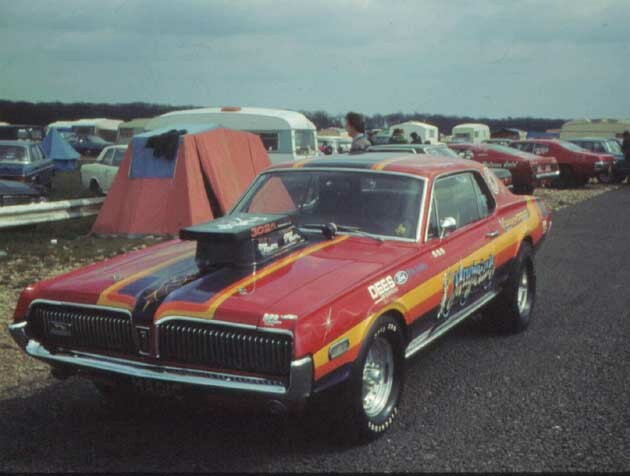 He was the greatest Mercury driver of all time and a member of the Motorsports Hall of Fame. See following pages. 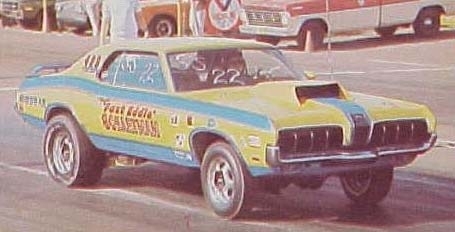 'The Magician', a sweet 68 super stocker.